This large oak table and set of 8 oak chairs by John Taylor & Sons of Princes St were renovated for a client in Edinburgh. 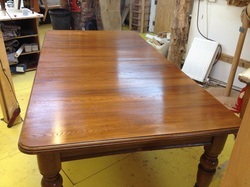 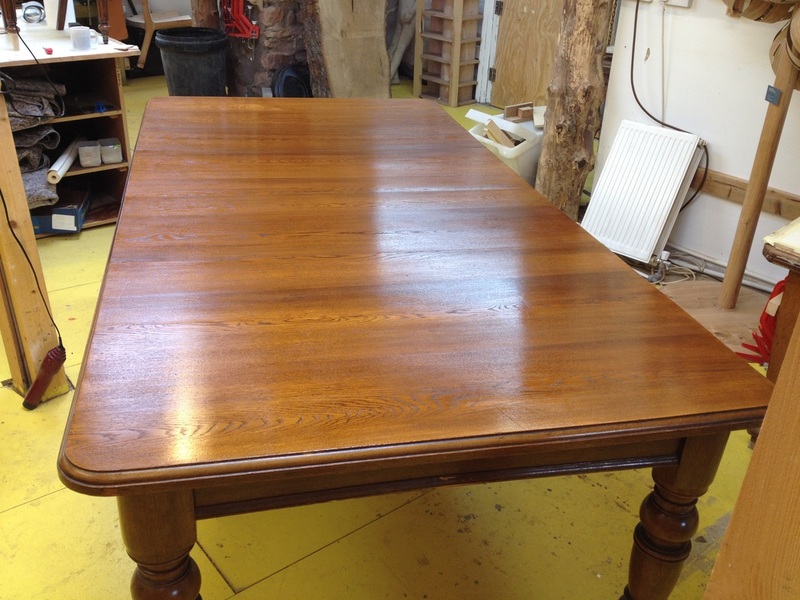 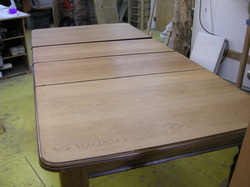 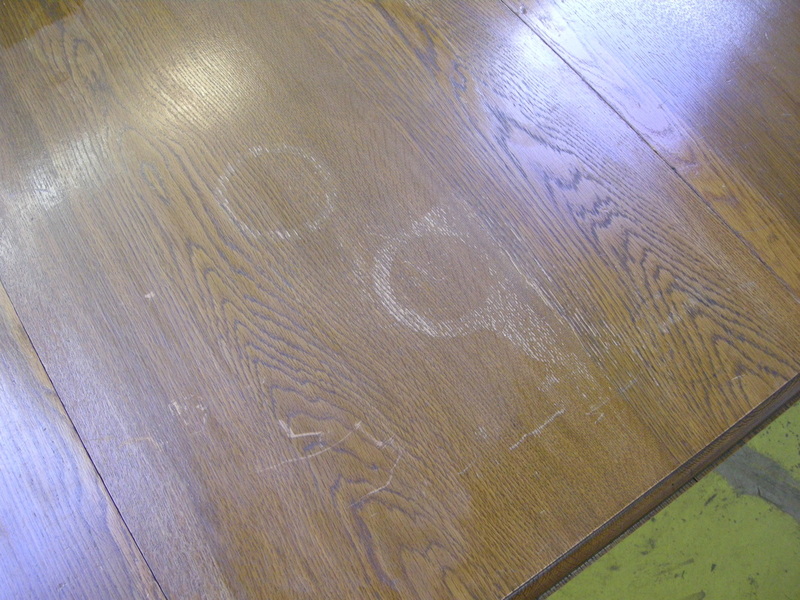 The table was stripped, colour matched and refinished to remove water damage stains. 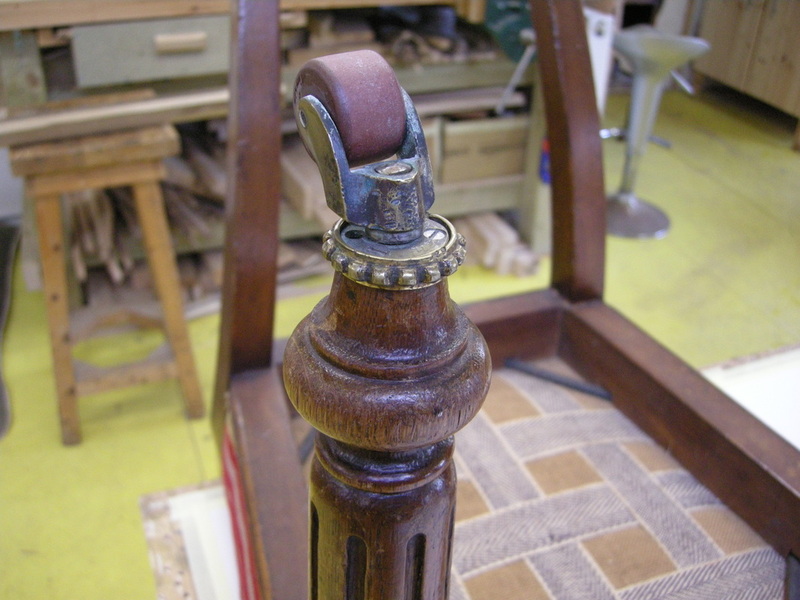 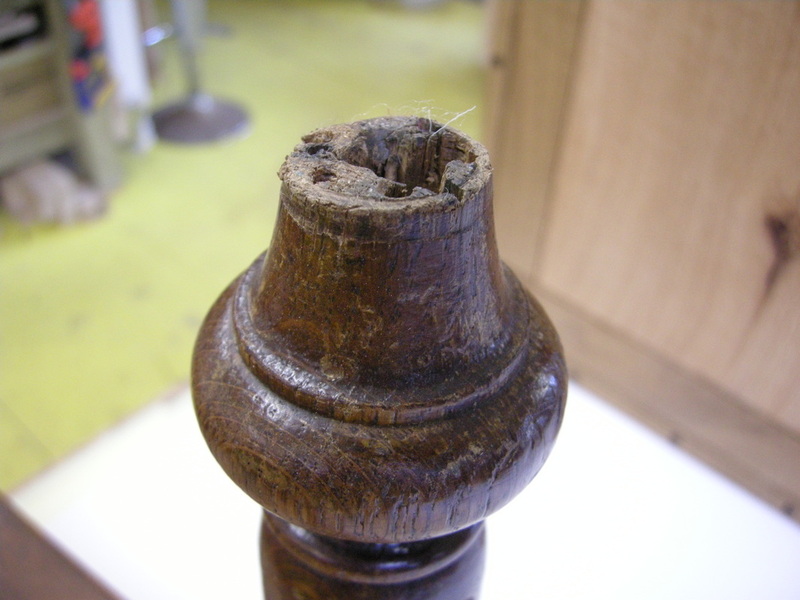 After a bit of research it appeared that the castors had been a later addition to the chair legs and these were frequently breaking as they had been attached to a weak section of the leg without any reinforcement. 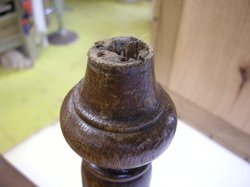 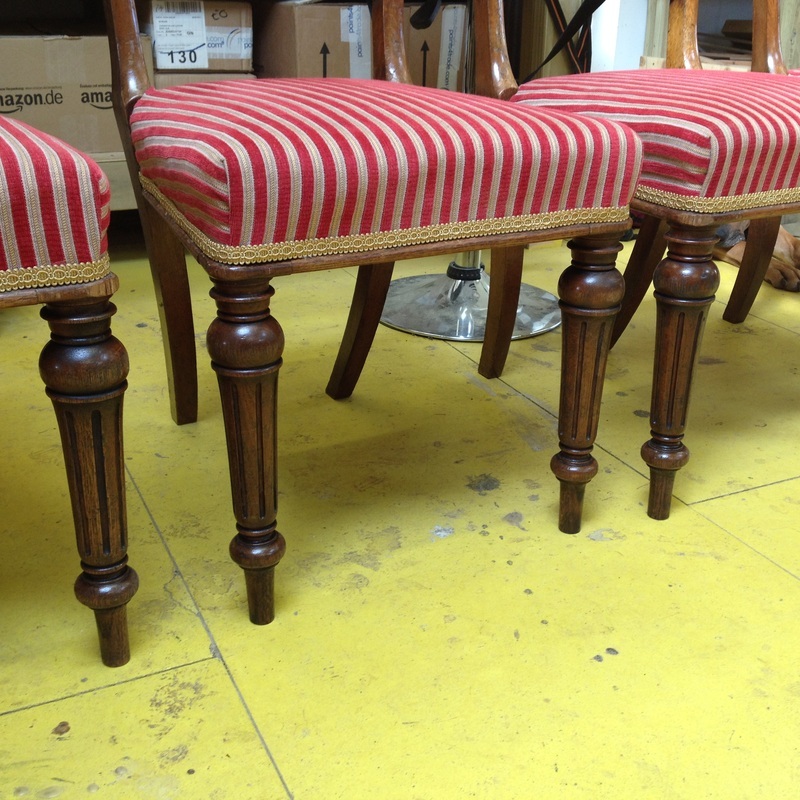 The customer requested that the castors and damaged leg sections be removed and replaced with solid oak sections according to the original design.